Health sciences students use art and essays to highlight challenges in the healthcare sector. A fourth-year physiotherapy student, Allyson Smith, and third-year medical student, Neo Ramagaga, have won the Health Sciences Art And Essay Competition with their pieces exploring the Life Esidimeni tragedy. Ramagaga’s winning essay, ‘Students’ Role in Identifying Injustices in the Healthcare System’, highlighted what she calls a “diseased” health care system that, she argued, resulted in the deaths of at least 144 Life Esidimeni patients. Smith’s ink on watercolour paper artwork, titled ‘He Numbered All Stars and Called Them By Name’, aimed to acknowledge not just the tragedy but the individual Life Esidimeni victims. VOICELESS PATIENTS: The winning artwork, ‘He Numbered All Stars and Called Them By Name’, by physiotherapy student, Allyson Smith. Photo: Provided. The competition was jointly run by the Wits Students’ Bioethics Society (WSBS) and the Steve Biko Bioethics Centre. Competition applicants were required to submit either an art piece or research essay discussing the two topics of: voiceless patients; and students witnessing injustices in the healthcare system. Winners were announced at the annual Ethics Alive Symposium on Wednesday, March 14. Chairperson of WSBS, Rubina Valodina, said the competition tied in with the objectives of the society. “It takes ethics out of the lecture room and gets students thinking and talking among themselves about these issues,” she told Wits Vuvuzela. This is the third consecutive year that Smith has won the art competition. She told Wits Vuvuzela that the lack of information she could find about Life Esidimeni and its patients inspired her artwork. “I couldn’t find names or faces of all the patients. 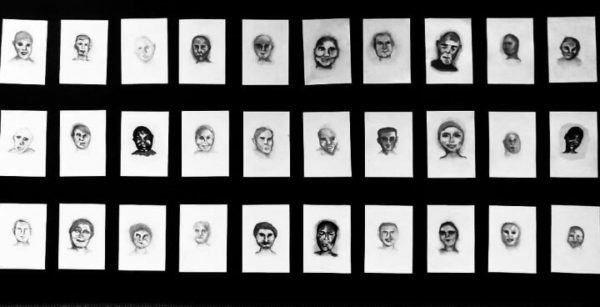 When I did find pictures in my research, they were blurry and you couldn’t make out the individual faces,” she said. Ramagaga was shocked that she won the essay section as this was her first time entering the competition. She told Wits Vuvuzela that her essay focused on Life Esidimeni as the latest event in a history of mistreatment in the health care sector. “I noted a pattern of injustices in the South African health care sector. [Tragedies like Esidimeni] are symptoms of a diseased system,” she said. Her essay has been sent to the South African Journal of Bioethics and Law to be reviewed for publishing. At least 144 mentally ill patients died after the Department of Health terminated its contract with the Life Esidimeni care centres, and moved about 2 000 patients to ill-equipped NGOs, government facilities and homecare. Last week, following weeks of arbitration hearings, former deputy chief justice Dikgang Moseneke ruled that the government should pay R1.2 million to each of the families of the mental health patients in the Life Esidimeni tragedy.